Green color-coated chain link fence is another popular perimeter fence for the green color is suitable for most surroundings. Vinyl-coating to zinc-coated steel wire adds an extra protective layer compared with typical galvanized chain fence. It has much better performance in resisting various kinds of corrosion from rain, weathers and other surroundings. What is more, green chain link fence shows better outlook than silver galvanized chain-link. It has been a decorative element for your yard, house or commercial places. There are a lot of innovative ideals in adding attractiveness to chain link fence, like growing veggies up the fence. Green polymer-coated chain-link fabric is available in multiple types of wire gauge, sizes of mesh and heights for different applications including yard fence, commercial fencing, security fencing, sport tennis fencing, etc. Posted By: Rock Chain Link Fence Co., Ltd.
Business Description: Rock Chain Link Fence Co., Ltd. from China has always been manufacturing and exporting high quality chain link materials and providing the best after-sales services since its foundation in 1996. Our breadth of experience has won reputation from distributors, homeowners, contractors and engineers through USA, Britain, German and other regions. 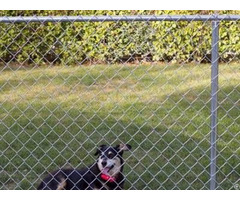 We know well commercial, residential and industrial chain link fence and plan a suitable solution for every customer according to their special requirements. 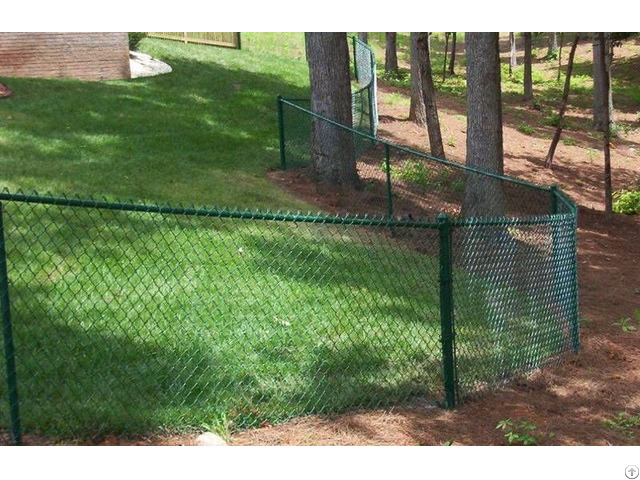 Our chain link fence products are manufactured by advanced chain link machine. Chain link fence machine & fence fabric. 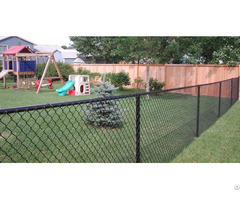 Why you choose us as your prime supplier of chain link fencing? We are aimed to build a one-stop chain link fence inventory. Standard galvanized (GAW or GBW) chain link fence fabric, vinyl-coated chain link fence in black, green, brown and any custom color, residential, commercial, industrial chain link fence are manufactured according to ASTM standards. Barb wire, razor wire, temporary chain link fence panels, gates, privacy slats or hedge slats, scroll, fence top caps are all provided for enhancing security or appearance requirements. All accessories for installation are also supplied. 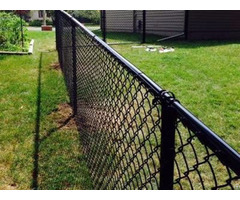 You can purchase everything related with chain link fence. This will save your time and your money. A complete set of solution. This is another reason why we are your prime supplier. Our professional engineers have rich experience in planning chain link fence for various applications. If you are confused with the selection or the detailed fence materials, contact us for exact answer. You will get the suitable solution for free. Our chain link fence and related accessories are all fabricated strictly according to ASTM standards. Before shipment, the fence materials will be inspected again to avoid any mistakes. Three pictures stand for the inventory, solution and management.